Enjoy our EuroShop mag until Feb 2020! EuroShop is the world’s largest trade fair for retail investment requirements. 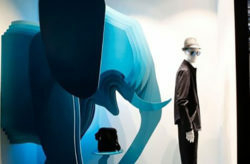 Future-oriented and dynamic as the industry itself, the trade fair presents itself in eight fascinating retail dimensions with all the trends and topics that are moving the future. Looking back and looking ahead. This visual review of EuroShop 2017 speaks louder than a thousand words. Look back to the most important event of the industry – with some fascinating 360° videos. Roam through all the dimensions of EuroShop, moving along some specially selected aisles. Enjoy a great review with fully panoramic vision. 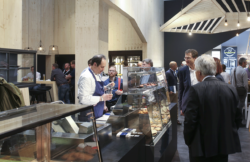 And don’t miss our glimpse of the future as we head for EuroShop 2020. It’ll be worth it. This visual review of EuroShop 2017 speaks louder than a thousand words. Look back to the most important event of the industry – with some fascinating 360° videos. It’ll be worth it. Explore EuroShop: See impressions and statements straight from the trade fair as well as all highlights and innovations EuroShop had to offer in 2017!